WHAT I SMELL: Gardenia Passion’s initial opening begins with a waxy smooth tuberose that’s tinged with pink pepper. A wonderful green lifts the bouquet from below as the floral seem to sparkle with sunshine. In a little, a light touch of earthen jasmine brings the floral to a more grounded level. So where’s the gardenia? As it further develops, a rubbery and creamy consistency comes in and give the feeling of a gardenia bloom. At the same time the green turns to more of a vegetal tomato vine. Does it smell like true gardenia? No, instead the perfume takes on a more muted tuberose, but at times it does waft towards the gardenia. 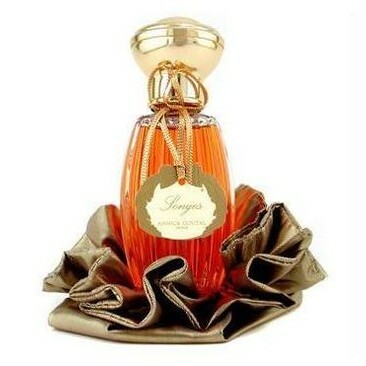 The perfume overall has a light to medium touch which makes this perfect for the spring or summer months as it will not overwhelm or suffocate. Annick Goutal’s captivating tribute to freshly-picked gardenia. A troubling reinterpretation, nuanced with the accord of mesmerizing tuberose and seductive jasmine. WHAT IT SMELLS LIKE TO ME: There is nothing frivolous about Gardenia Passion; but the perfume, combined with the ensuing warm weather has me all excited about the burgeoning Spring! BOTTOM LINE: Gardenia Passion is an easy wear that is beautiful, charming and while lady-like is not stuffy or too proper and could be worn anywhere and at anytime. Expense: Varies. Review based on the Eau de Toilette version. Categories: Annick Goutal | Tags: 3 bones, Annick Goutal, eau de toilette, EDT, Feminine, floral, fragrance, Gardenia Passion, parfum, Perfume, Perfume Review, review | Permalink. WHAT I SMELL: Vanille Charnelle opens with a sparkling pepper which is soon met with a vanilla gourmand rather almond-ish ylang-ylang. It’s sweet without being sugary and it smells like a baking rack full of cooling almond cookies. But there’s a bit of sour from either the ylang-ylang or the tonka that keeps the perfume from being too confectionary. The opening had me a bit worried that the perfume was going to rise up and scream. But thankfully, after a few minutes the fragrance begins to contain itself. The vetiver begins to come forward and with it comes a welcomed reedy woodiness that begins to dry out the vanilla. But even as it continues to dry out, the vanilla almond is front and center; albeit less sugared. After some time, the perfume journeys into a more floral realm and moves from gourmand to oriental. It really is beautiful in a richly opulent and exotic way. The notes are beefy and amped up and what was turning dry becomes ripened. Vanille Charnelle then moves to a decaying spiced floral that’s wrapped up in vanilla. Top notes are ylang-ylang and pepper; middle notes are vanilla, tonka bean and white musk; base notes are vanilla absolute and vetiver. WHAT IT SMELLS LIKE TO ME: There’s something very nostalgic and 1970s about this perfume…very Annie Hall. BOTTOM LINE: Vanille Charnelle is a wonderfully spiced floral vanilla perfume the makes me want to reach for my tweed jacket. A little of the perfume goes a long way, so when spritzing, do sparingly. Sample courtesy of Lucky Scent. Categories: Annick Goutal | Tags: 4 bones, Annick Goutal, EDP, fragrance, fragrance review, Les Absolus d' Annick Goutal, New Release, oriental floral, parfum, Perfume, Perfume Review, unisex | Permalink. WHAT I SMELL: Songes opens medicinal and deeply antiseptic only to quickly move to this indolic jasmine that smells rather like sweet bubblegum without being too sugary. The fragrance is big and wrapped in a waxy shell. In just a few minutes, the scent just blasts off the skin like a floral explosion. At this point it weaves a spell on you like a big floral feminine venus fly trap that overtakes you like an unsuspecting victim. The lush and heavy fragrance is almost too much to take so I caution that when spraying it on use sparingly! In addition to the bubblegum, there’s just a hint of spice which controls the sweet without overtaking it. After around the 30 minute mark Songes become more creamy rather than waxy and the Frangipani takes over to the forefront. Frangipani is not one of my favorite flowers, but the Tiare helps to compliment the Frangipani to give Songes a tropical feel. This is phase two and there is nothing subtle about the transition; Songes becomes full on South Seas. As more time passes, the fragrance becomes a bit deeper and when smelled it coats the back of your throat with its thickness. After about an hour or so, Songes moves into its third phase and retreats down to a dry and woody shell covered in with a light Frangipani. And after a few hours, Songes plays peek-a-boo as it sometimes seems to disappear, only to reveal itself again. 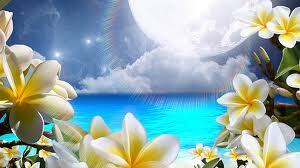 WHAT IT SMELLS LIKE TO ME: Like a tropical breeze brushing up against the white flowers releasing their intoxicating beauty beneath the full moon. BOTTOM LINE: Wow, what a ride. Big, bold and like a slap across the face with a floral assault only to be left with this woody like shell of its former self. In other words, the siren song that had been calling me, entrapped me with false beauty. I kind of like it, I kind of don’t. It’s kind of big, it’s kind of not. In other words, Songes can keep calling, I just don’t know if I’ll answer again. Expense: Review based on Eau de Parfum. Approximately $165 for 50ml. Categories: Annick Goutal | Tags: 3 bones, Annick Goutal, EDP, fragrance, oriental floral, parfum, Perfume, review, Songes | Permalink.